Our Adoptable Cats are listed through PetFinder. An automated feed from our site there is listed below. The automated feed removes the breaks in our paragraphs so please read the descriptions with that in mind. 🙂 If you would like to adopt a cat, please fill out the adoption form. If you would like to arrange to meet the cat outside of our monthly pet fairs, please contact us. Full of energy--that's Lyle. He is a sweet young cat that loves to explore and needs some space to run around. He loves being near his people, and loves to purr while being patted, but is not yet a lap cat as he is too eager to check everything out. He does love to play and roughhouse, therefore not good for young children who may use hands to try to play instead of just toys. He grew up with a dog so would be good with a canine companion that is not too rough. Lyle is a spunky guy who needs a loving home with people who want a companion who will play and love them. 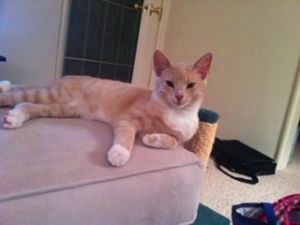 To check out Lyle, please visit felinefriendsnetwork.org to fill out an application under the adoptions section. Meet Minnie! 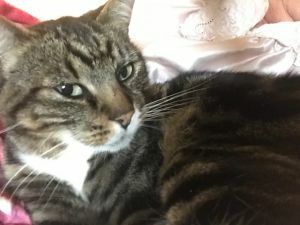 Minnie is a 10-year-old female tabby with loads of personality. She is a mellow gal, mixed with a bit of cattitude, which definitely adds to her charm. Minnie adores attention from her human friends. However, she prefers not to share the spotlight, so a single pet household is preferred. She also enjoys her time basking in the sun, so a home with a secure backyard or patio would work best for her. If you are looking for a great cat companion, please contact Feline Friends Network to arrange a visit with Minnie! Minnie is spayed, vaccinated, microchipped, and house-trained, and is ready to meet her new forever human. Sweet, sweet Shuttle is a lovely kitty who wants to please, but is slow to warm up. When he does feel comfortable, he is your special kitty. 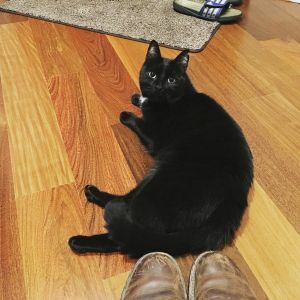 He is perfect for an apartment as he does not need to roam, and he is happiest curled up next to his special person in a quiet room. 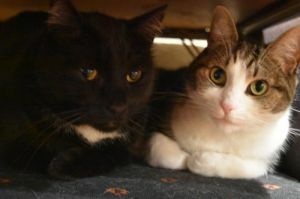 Shuttle is being fostered along with Socks and they groom and play with each other well, so could be adopted together. Shuttle can be adopted on his own, however, as long as he has a person to love. Please consider this lovely tabby who is just 6 years old. Go to felinefriendsnetwork.org to find adoption applications. Henry and Lola are looking for a new home after their loving owner Paula passed away. They are affectionate, well-behaved indoor cats who are 8 years old. They shared their home with a small dog and are comfortable with dogs who treat them nicely. Paulaâs hope was that they could be adopted together and kept as indoor cats. The new owner would be provided with all cat supplies on hand (litter boxes, crates, litter genie, etc.). If you are interested and would like to meet them, please contact Wendy at 415-518-0715. Socks is a special cat who was used to being outside, but found she does love her special person who feeds and snuggles with her. She is very quiet and, though cautious, once she gets to feel comfortable in her new home, she is the perfect pet--very neat and clean and attention loving, but does not get under foot, Socks lived outside for much of her life, but has adapted to being inside very well and is happy with her warm nights and ready food and water bowls. She is fine in small areas, so would do well in an apartment or home that is quiet. 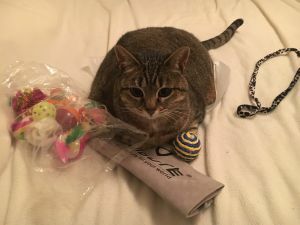 She likes other cats and plays with and enjoys her foster companion Shuttle, but can also be an only pet happily and would be perfect for your home! 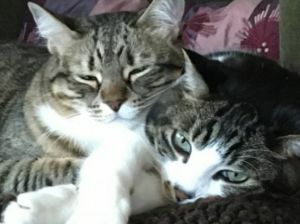 If looking for 2 cats, Socks and Shuttle would be a wonderful pair. Please go to felinefriendsnetwork.org to fill out an application under the adoptions section.